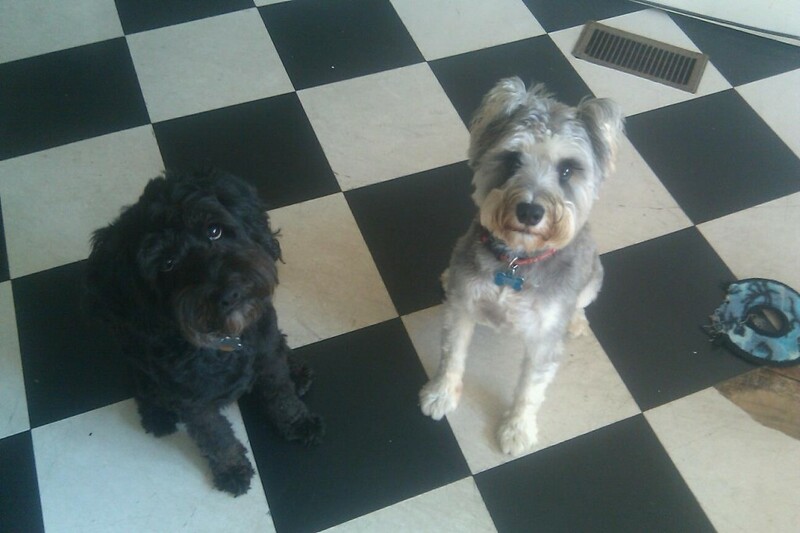 Your adorable culprits, Rufus and Percy. If you saw a somewhat cryptic tweet from me last night, you know this week’s episode is being delayed because of… dogsitting? Yup. Suffice it to say that having one dog in the house means that life is totally normal, but having two dogs means OH MY GOD TWO DOGS LOUDNESS BARKING CHASING ANARCHY!!! And it is impossible to edit audio when you can’t hear anything. Today seems to be MUCH calmer than yesterday, so either they’re adapting or I’m deaf. I’ve been telling them the same thing. AND THE MAILMAN I TELL HIM I’M SORRY BUT HE CAN’T HEAR ME.